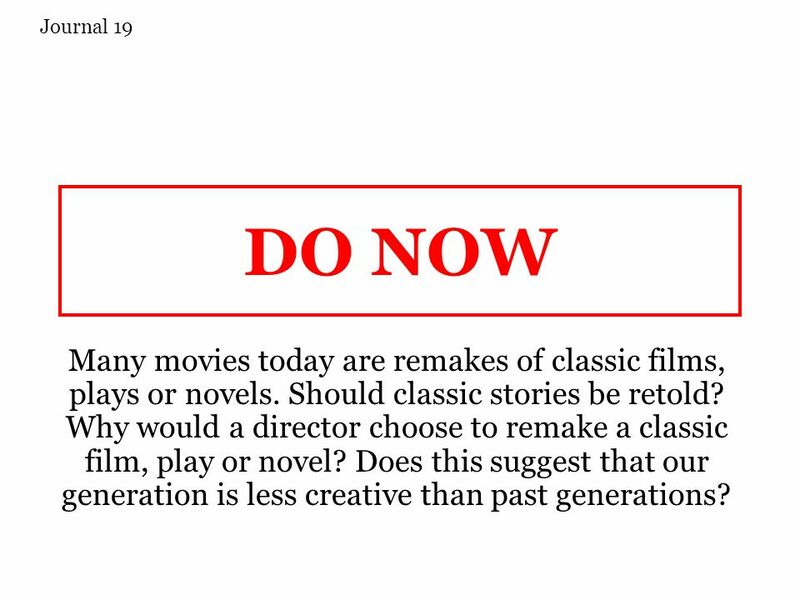 DO NOW Many movies today are remakes of classic films, plays or novels. Should classic stories be retold? Why would a director choose to remake a classic. 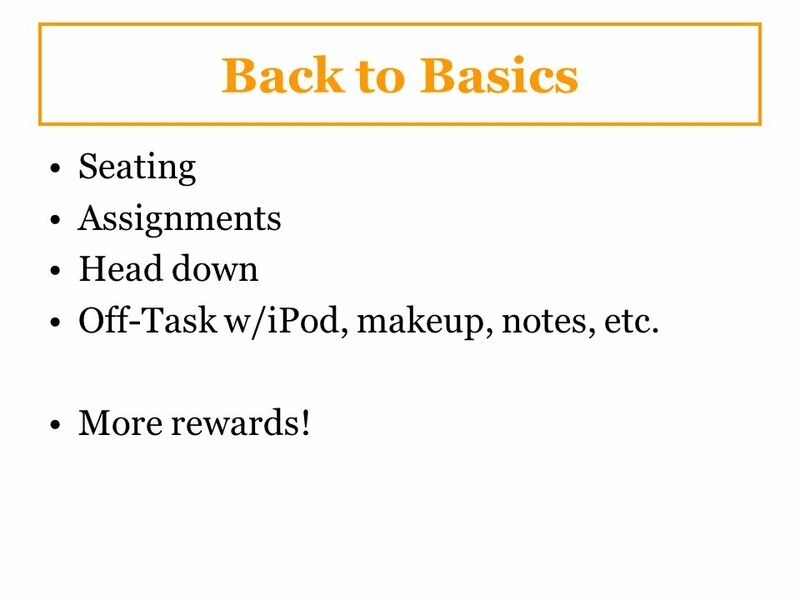 2 Back to Basics Seating Assignments Head down Off-Task w/iPod, makeup, notes, etc. More rewards! 3 Romeo + Juliet We are now going to view a more modern version of the play. This version has a lot of similarities but also a lot of differences to Shakes original production. As we watch, update your T-Chart with a list of things that are similar and things that are different. You will need this list to complete your writing assignment once we finish the film. Download ppt "DO NOW Many movies today are remakes of classic films, plays or novels. Should classic stories be retold? Why would a director choose to remake a classic." Literature Circles Overview and Timeline. Here’s the general idea... For the rest of this school year, you will be part of a literature circle group. MEDIA ANALYSIS AND EVALUATION Megan Redmond. ROMEO & JULIET Romeo’s Chase Scene (1996)  Does anything about this clip differ from how you originally. ENGLISH I HONORS FEBRUARY 16, 2015 BELL WORK: REPORT TO COMPUTER LAB. 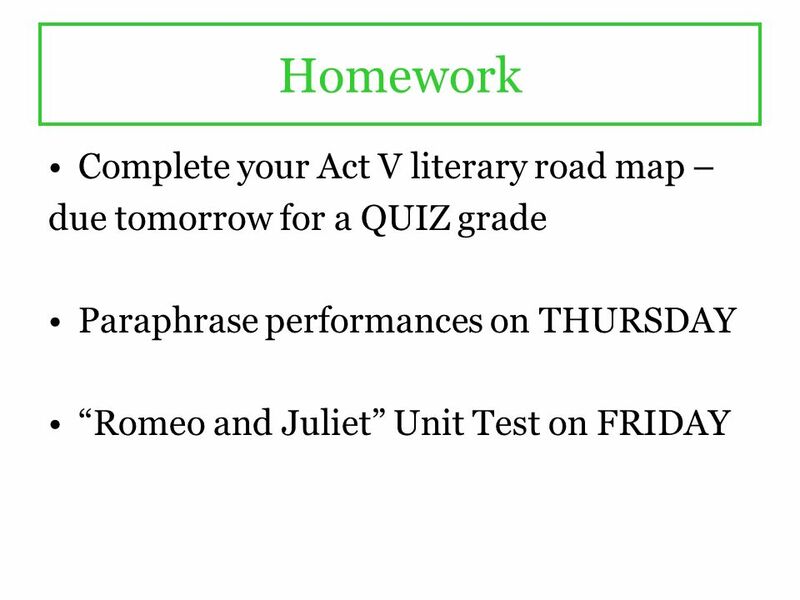 ROOM 145 ALL WEEK AGENDA: THE TRAGEDY OF ROMEO AND JULIET THE TRAGEDY OF ROMEO AND. January 5, 2010—Happy New Year!! Objectives (What am I learning?)  What our procedures are  What is mythology and why do we read it? Activity (How am. Bell Work 9/15 to 9/19 Unit Objective(s) Monday: Who is your favorite God or Goddess from Greek mythology? Why is this God or Goddess your favorite? Hollywoodization of Literature Nolan Loughlin and Matt Viel. Bell work: Take out binders to organize today (finally!) Agenda: The Tragedy of Romeo and Juliet The Tragedy of Romeo and Juliet Finish watching Act III. Bell Work: Reminder – your FSA Writing will be on Friday, March 6 th in Computer Lab. 222-F. Agenda: The Tragedy of Romeo and Juliet The Tragedy of Romeo. W16: December 1-5, 2014 Week 16. Monday, December 1 Checking in of 8 Step DBQ Atlas Activity! Goal – ASWBAT… accurately use maps to answer questions based. PofE II Into Class: Monday, March 2 nd 1.Please come in and get out your Commercial Assignment that was homework and turn it in to your hour’s bin. 2.Then. August 13, 2014 Today ◦ Seating Chart ◦ Introductions ◦ Meet me ◦ Name Tags Tomorrow ◦ Finish Name Tags ◦ Appointment Clocks ◦ Syllabus ◦ Names Friday. SHORT STORY SHARING. Story Time  Today we are spending some time sharing our work  Find a small group (3-5) that you feel comfortable with  Feel free. PofE II Into Class: Monday, September 22 nd 1.Please come in and get out your Commercial Assignment that was homework and turn it in to your hour’s bin.  You will soon begin reading Sharon Draper’s Romiette and Julio. 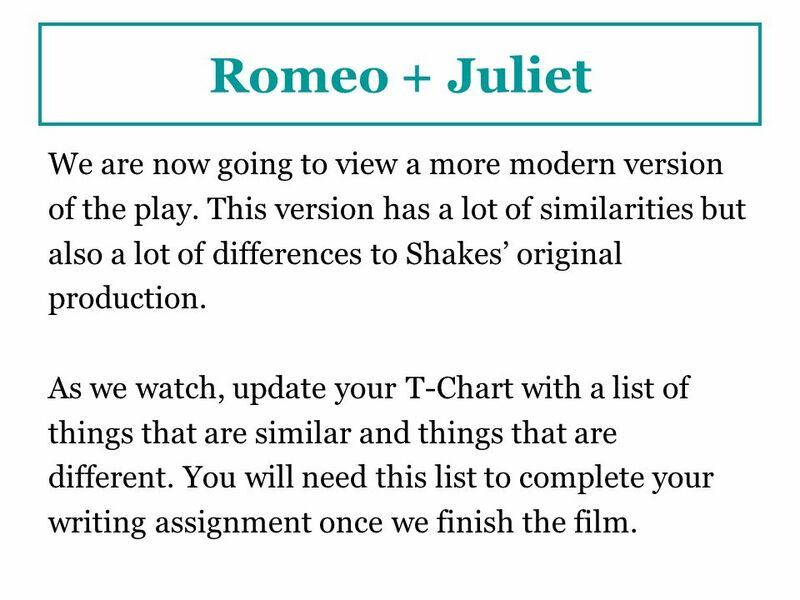 As you know, it is very similar to William Shakespeare’s Romeo and Juliet. Both of these. 3 rd Six Weeks November 18, 2013 through January 16, 2014. 3/10 Entry Task What predictions can you make about the novel based on the excerpts and the chapter you read yesterday? Provide specifics from both to. WRITE BITES Early College Campus. Literary Analysis: Using Elements of Literature Students are asked to write literary analysis essays because this type.  If you missed the compare/contrast test yesterday, you must come in after school THIS WEEK to complete this. Plan on about 45 for the test.  One-pagers.